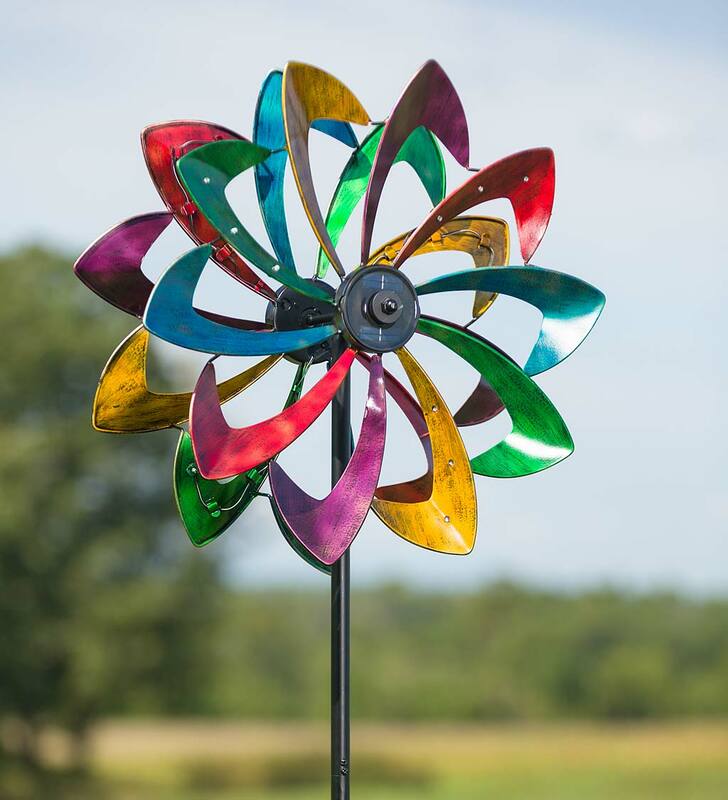 Our Solar LED Flower Wind Spinner lights up at night for a fantastic show night and day! Our exclusive, patented design is the first that builds a solar panel directly and seamlessly into the flower spinner's center; there's no need for an extraneous panel. Several of the metal garden spinner's flower petals feature embedded LED lights. The solar panel soaks up the sun all day and when the flower spins at night, you'll see a spinning circle of light. Hang a Swirl Spinner in your yard to celebrate the holidays. Each metal spinner is delightfully painted in cheerful colors and is topped with a detailed seasonal icon with a holiday themed charm at the bottom. 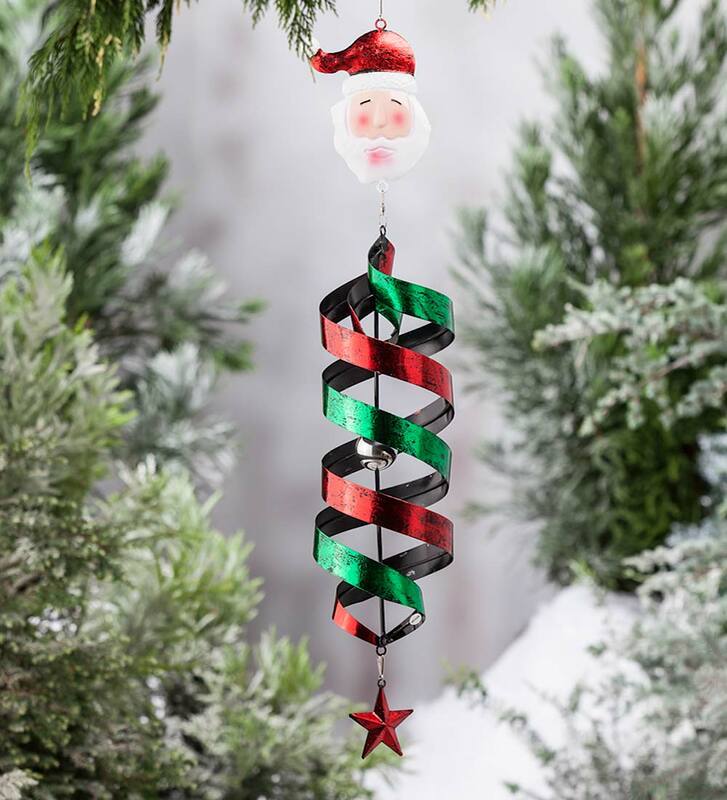 Hang on a tree or from a porch, tree or deck and enjoy them twirling in the breeze. Hanging hook included. A delightful decorating idea! 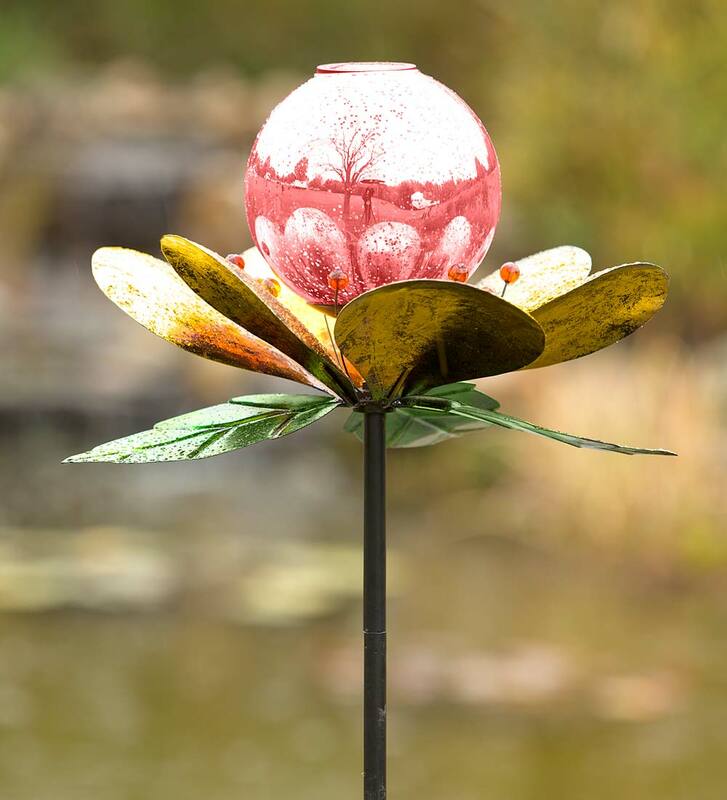 Show off this Solar Mercury Glass Globe Flower Garden Spinner, with a shimmering orb and metal foil flower petals. The central globe is iridescent, somewhat transparent and beautifully refractive. Metal leaves are bent in various directions for a realistic effect. Solar power technology lights the globe at night, after absorbing sunlight during the day. Secure in a planter, flower bed or in your lawn.